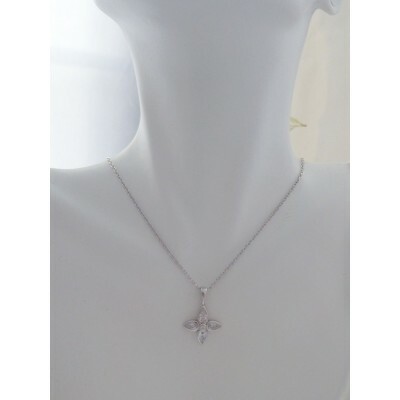 An exquisite flower pendant necklace featuring four petals in highly polished sterling silver filled with white cubic zirconia stones and completed beautifully. 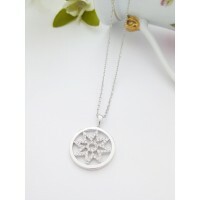 This elegant sterling silver flower pendant necklace is full of natural beauty, perfect for the lady that loves nature. 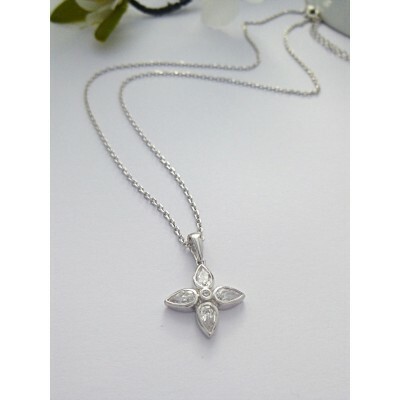 Featuring four petal shapes that are filled with smoothed cz stones in white and with a strong sterling silver outer, the Georgini Blossom is a graceful and elegant pendant, perfect if you want a really high quality sterling silver flower pendant necklace that exudes quality with a distinguished look. The centre of the Georgini Blossom features a small white cz stone around which the four petals met, a very refined and elegant necklace. 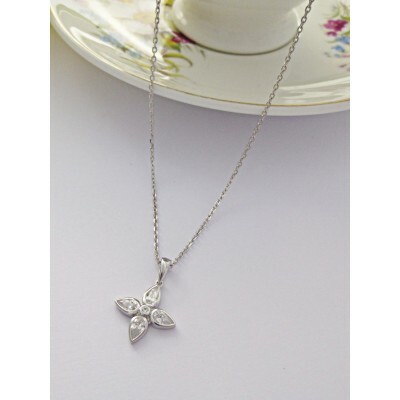 The width of the four petals at their widest point is 15mm and this sits on a 40cm sterling silver necklace chain with a 5mm extender. 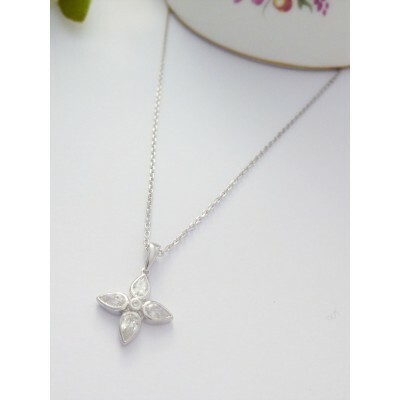 The Georgini Blossom flower necklace is branded with the 925 sterling silver hallmark. The Georgini Blossom features four petals with white soft cut cz stone inserts. This necklace is hallmarked 925 sterling silver that has a highly polished finish. 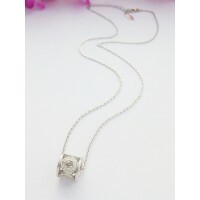 The necklace chain is 40cm long with a 5cm extender.